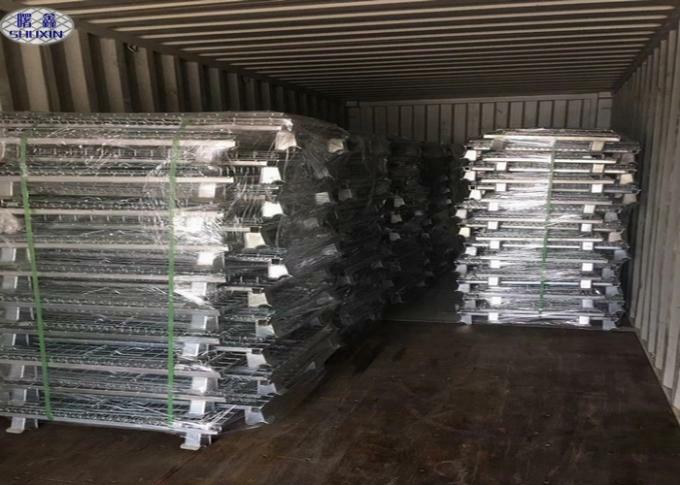 Warehouse Storage cage also called warehouse cage, butterfly cage, is a kind of container logistics is very important in storage and transportation, has the advantages of fixed storage capacity, tidy, clear, convenient for inventory, but also improve the effective utilization of warehouse space. 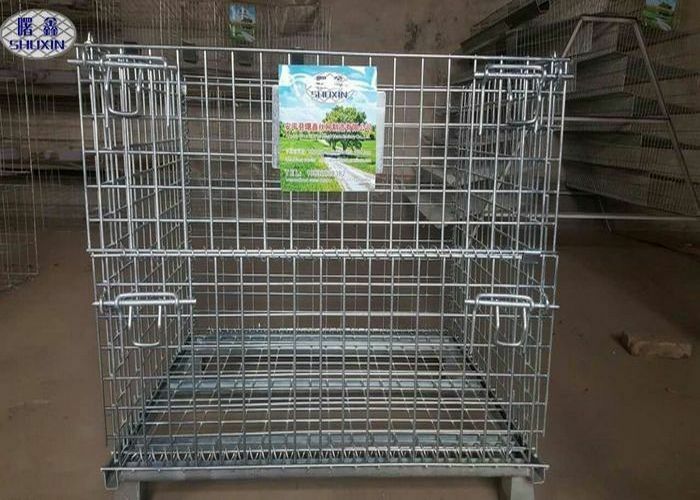 The storage cage can be folded freely, and can be folded and stored when not in use, so as to save the storage space. 1. the use of high quality steel by cold-rolled hardening welding, high strength, large capacity. 3. surface environmental treatment, hygiene, immunity, turnover, storage, recycling, no pollution of the environment. 4. with the forklift, cattle, lifts, cranes and other equipment for efficient operation. 5. folding structure, low recovery costs, wooden packaging box is an alternative product. 6. the bottom can be installed wheels, factory turnover is extremely convenient. 7. uniform specifications, fixed capacity, storage of goods at a glance, easy to inventory count. 8. galvanized surface, beautiful, anti-oxidation, long service life. 9. the use of international standards, can be used in conjunction with containers, effectively improve space utilization.